Campers will learn basic fishing fishing skills and catch and release etiquette. The day will be spent learning about fish, aquatic habitats and ecosystems, and tools used for fishing. They will make crafts that include the creation of a unique lure. we will also play themed team building games and end camp with gooey campfire treat. Youth program, ages 6 to 12 years. Please dress to be outside and bring a sack lunch, sun screen, bug repentant, and a full change of clothes. This program is offered through Welty Environmental Center, call 608-362-6212 or please register at this link. Campers will use hip waders to river walk Kelly Creek looking for signs of human impact, documenting what they find. They will conduct water monitoring tests and compare their results against data collected in 2018. They will determine where efforts should be focused for restoration and clean up. Camp will end with a gooey treat. Young Adult program, ages 12 to 17 years. Please dress to be outside and bring a sack lunch, sun screen, bug repentant, and a full change of clothes. 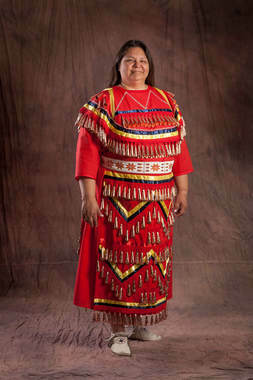 Dressed in Jingle Dress regalia, Kim Sigafus, an Ojibwa author and speaker, will share her American Indian heritage and culture through music and dance. She will explain the importance of Native ceremonies and why music is a key component to them. 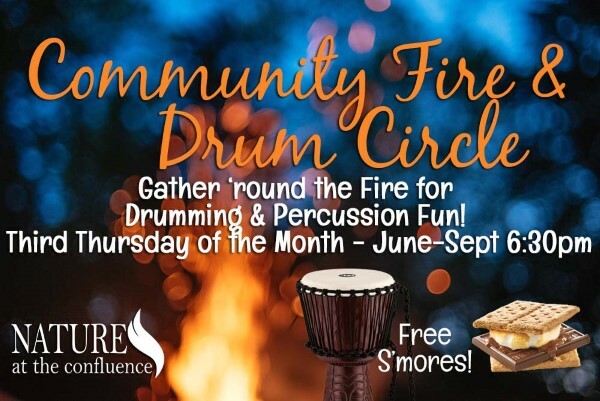 The audience will be invited to learn traditional songs in the Native language and can participate in a pow wow circle where the audience can sing, play a rain stick or drum, and dance. Kim Sigafus is an internationally published award-winning Ojibwa author and speaker. Her family is from White Earth Reservation in Minnesota. Kim’s Ojibwa name, Bekaadiziikwe, means “Quiet Woman.” Kim is an Illinois Humanities Road Scholar and this program is supported by the Illinois Humanities Road Scholar program. I llinois Humanities is supported in part by the National Endowment for the Humanities (NEH) and the Illinois General Assembly [through the Illinois Arts Council Agency], as well as by contributions from individuals, foundations and corporations. Any views, findings, conclusions, or recommendations expressed by speakers, program participants, or audiences do not necessarily reflect those of the NEH, Illinois Humanities, our partnering organizations, or our funders. Fireflies are fun for the entire family! These luminescent beetles are members of the family Lampyridae. They are reported to be most active in the Wisconsin between July 1 and August 26th and Illinois between May 8th and October 5th, so we are sure to see a few.